LET’S ignore the old adage for a minute because the cover of this book gives a very strong clue to its ethos. 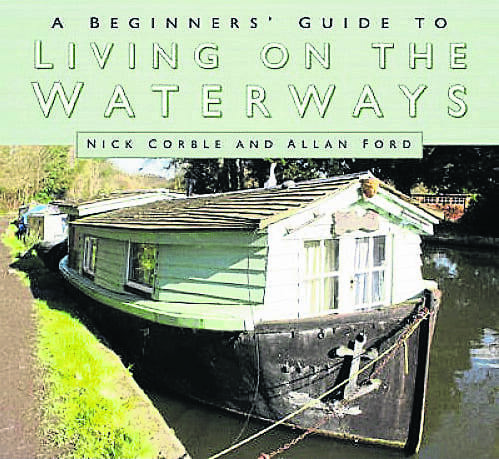 A Beginner’s Guide to Living on the Waterways eschews the clichéd lone narrowboat on the cut at sunset, for a slightly ramshackle wooden boat with pitched roof, patio doors and a duck atop. Authors Nick Corble and Allan Ford explore liveaboard boating as an alternative lifestyle, embracing both the diversity and practicality of this way of life and highlighting the necessity for the would-be boater to actively consider if this is something they wish to pursue. The authors have a wide range of boating experience between them and attempt in the first two chapters to deal with the psychological aspects of living aboard, ‘the fundamental, less tangible considerations’ needed before committing to the lifestyle. For example; they balance the appeal of joining a floating community with the difficulties of retaining citizen status and access to state services that arise when relinquishing a postal address on land. This is a useful attempt to get the potential boater considering if they will suit the lifestyle and one that many similar books overlook in favour of suggesting a ‘try before you buy’ boating holiday. This theme of realism continues into the glossy centre colour photographs with bike-hire boats, ex-lifeboats, craft that are more tarp than boat and even floating gardens. The remaining nine chapters deal with the practical aspects of living aboard; choosing a boat, mooring, heating, cooking, sanitation, boat layout, electrics, engines, finance, maintenance and survival tips. Each chapter ends with a series of questions and notes the reader is encouraged to engage with themselves. The book offers a beginner sufficient information to allow serious consideration to begin and the authors provide a list of organisations, books and websites at the end for those who wish to do further research. 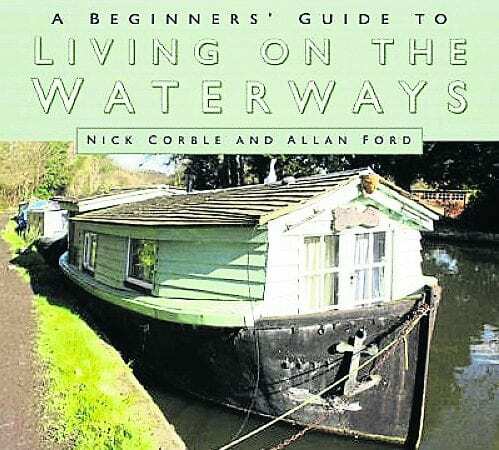 A Beginner’s Guide to Living on the Waterways by Nick Corble and Allan Ford (paperback, 120 pages) published by The History Press at £16.99. Previous Post:June 2017 out now! Narrowboats, widebeams, Dutch barges and GRP cruisers for sale. Buy or sell your boats on our canal and river classifieds website. List your Narrowboat FREE today! 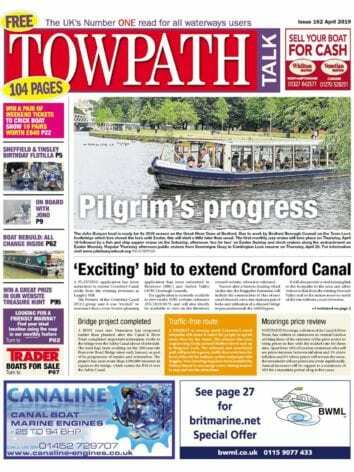 April Towpath Talk is out now!